Preterm birth is defined as delivery less than 37 weeks’ gestational age. The rate of preterm birth varies around the world and differs between developed and developing countries. It is 12–13 % in the United States of America (USA), 5–9 % in Europe, 9 % in Australia, and as high as 18 % in some countries in Africa. In developed countries the increased rate of preterm birth has been attributed to the changing demographics of childbearing. The mean age of childbearing has increased over the years with the average age of primiparous women in Australia now 28.3 years of age and the percentage of first-time mothers over 35 years of age in the USA now 4 %. Delayed childbearing is associated with a number of risk factors including preeclampsia and gestational diabetes. Infertility with the resultant use of in vitro fertilization methods and consequent twins/triplets are also significant issues. Another major risk factor for preterm birth is maternal obesity, which is increasing in both developed and developing countries. Complications of maternal obesity include maternal and fetal death, preeclampsia, gestational diabetes, and congenital abnormalities. Li Z, Zeki R, Hilder L, Sullivan EA, Australian Institute of Health and Welfare. Australia’s mothers and babies. 2011. http://www.aihw.gov.au/WorkArea/DownloadAsset.aspx?id=60129545698. Last accessed 9th July 2014. Health, United States. 2013. www.cdc.gov/nchs/data/hus/hus13.pdf. Last accessed 9th July 2014. Childhood, Infant and Perinatal Mortality in England and Wales. 2012. Office for National Statistics. www.ons.gov.uk/ons/dcp171778_350853.pdf. Last accessed 9th July 2014. Word Health Organisation and Unicef. Countdown to 2015 decade report (2000–2010): taking stock of maternal, newborn and child survival. 2010. http://www.countdown2015mnch.org/documents/2010Report/2010_ReportAndProfiles.pdf. Last accessed 9th July 2014. Victoria’s Mothers and Babies. Victoria’s Maternal, Perinatal, Child and Adolescent Mortality. The consultative council on obstetric and paediatric mortality and morbidity. 2010/2011. http://docs.health.vic.gov.au/docs/doc/E7B8F6942838375ACA257CFD0003DA74/$FILE/CCOPMM%20Report%202010%20and%202011%20final%20version-v02.pdf. Last accessed 9th July 2014. Maternal and Perinatal Morality and Morbidity in Queensland. Queensland Maternal and Perinatal Quality Council Report. 2011. http://www.health.qld.gov.au/caru/networks/docs/qmpqc-report-2011.pdf. Last accessed 9th July 2014. Hancke K, Gundelach T, Hay B, Sander S, Reister F, Weiss JM. Pre-pregnancy obesity compromises obstetric and neonatal outcomes. J Perinat Med. 2014. pii: /j/jpme.ahead-of-print/jpm-2014-0069/jpm-2014-0069.xml. doi: 10.1515/jpm-2014-0069. Dumas A, Simmat-Durand L, Lejeune C. Pregnancy and substance use in France: a literature review. J Gynecol Obstet Biol Reprod (Paris). 2014; pii: S0368-2315(14)00142-2. doi: 10.1016/j.gyn.2014.05.008. Maternal and perinatal mortality and morbidity in Queensland. Queensland Maternal and Perinatal Quality Council Report. 2013. http://www.health.qld.gov.au/caru/networks/docs/qmoqc-report-2013-full.pdf. Last accessed 1.10.14. Perinatal Mortality in the ACT 2006–2010. ACT Health Directorate Public Report. http://health.act.gov.au/health-services/population-health/health-improvement/epidemiology-branch/epidemiology-publications-health-series/perinatal-mortality-in-the-act-2006-2010. Last accessed 1.10.14. Royal College of Obstetricians and Gynaecologists. Greentop Guideline No. 31. 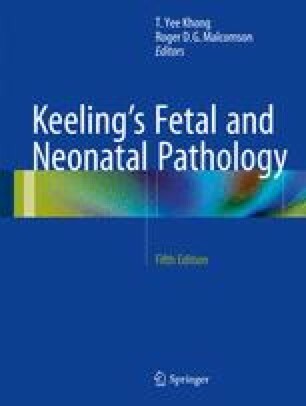 The investigation and management of the small-for-gestational-age fetus. 2014. https://www.rcog.org.uk/globalassets/documents/guidelines/gtg31sga23012013.pdf. Last accessed 1.10.2014.